I have previously written about the custody and parenting time issues that may be presented when a child is moved from state to state within the country. But what of child support? In an interesting recent unpublished decision, Flynn v. Flynn, the New Jersey Appellate Division examined the question: in a case where multiple child support orders have been entered in multiple states, which state has jurisdiction over the issue, and which state’s law controls? Because the issue of modification and enforcement of child support requires a level of uniformity and coordination among the fifty states, there is a Uniform act which different states – including New Jersey – have adopted with slightly different modifications or additions depending on the policies of each state. 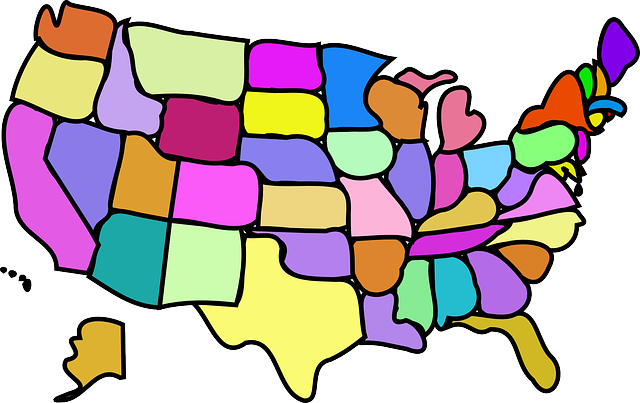 The purpose of UIFSA is to resolve questions about which state has jurisdiction in the event multiple child support orders are entered over the course of a child’s life in different states, and provides the courts with guidance on which law to apply. Under New Jersey’s version of UIFSA (N.J.S.A. 2A:4-30), where there are two or more child support orders that have been issued by tribunals in this state OR another state regarding the same obligor and child(ren), and New Jersey has personal jurisdiction over both the obligor and obligee, then the controlling child support order is the one that is issued by the current home state of the child. For example, in Flynn, the parties were divorced in Pennsylvania. After the divorce, both of them – together with the children – moved to New Jersey. New Jersey, then, became the state with jurisdiction to modify and then to enforce the child support obligation. But Which State’s Law Applies? [The] law of the issuing State or foreign country governs: the nature, extent, amount and duration of current payments under a registered support order. A tribunal of this State may not modify any aspect of a child support order that may not be modified under the law of the issuing state, including the duration of the obligation of support. Importantly, the “issuing state” may not be state that ORIGINALLY entered a child support order. We’ll get to that next. The “issuing state” is the state that issued the controlling child support. So, in Flynn, New Jersey was the issuing state. New Jersey had entered multiple orders over the years regarding child support and had jurisdiction over the issue. Therefore, New Jersey law applied. In a proceeding to modify a child support order, the law of the state that is determined to have issued the initial controlling order governs the duration of the obligation of support. The obligors’ fulfillment of the duty of support established by that order precludes imposition of a further obligation of support by a tribunal of this State. In Flynn, the Father sought to apply the law of Pennsylvania to the question of whether his child support obligation should be terminated, or whether he had an obligation to continue to pay child support for his son while in college. Under Pennsylvania law, his obligation would not have continued; but under New Jersey law, which requires parents to continue to provide support for children while they are in college, he would have been required to continue to pay. The Court applied Pennsylvania law and terminated his obligation. And this makes sense. When parties negotiate the various financial aspects of their agreement – or when the Court decides these issues if a trial takes place – the terms may be dictated in part by how long the support will be paid. If all the other pieces of the puzzle were based upon this question, then it would be unfair to blindside an obligor by building in additional time to make payment when that was not contemplated at the time the original child support was entered.